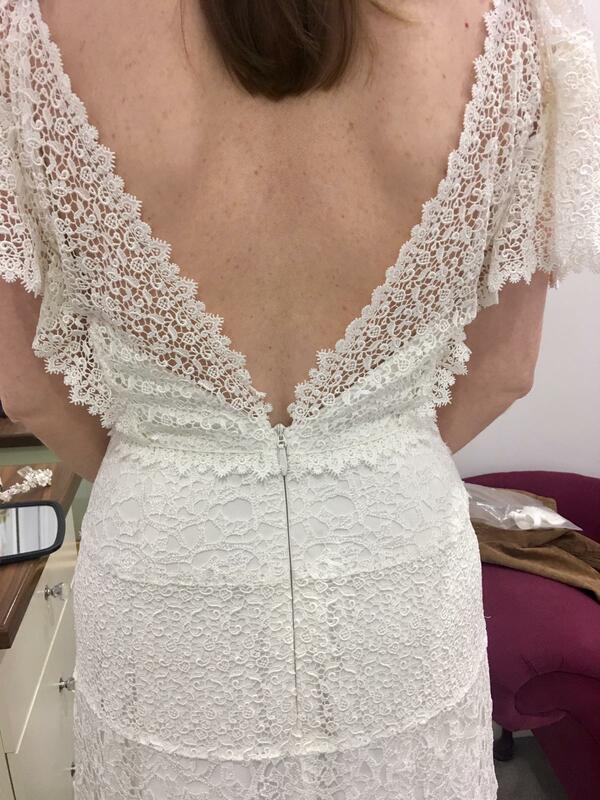 This dress is in the style of the Novia D’art Kenia dress from the 2018 collection but made with the guipure lace used in the Lola dress from the same collection. The designer has included a piece of Satin with the dress that can be placed under the bust by a dressmaker if the buyer preferredit to the lace scallop detail. 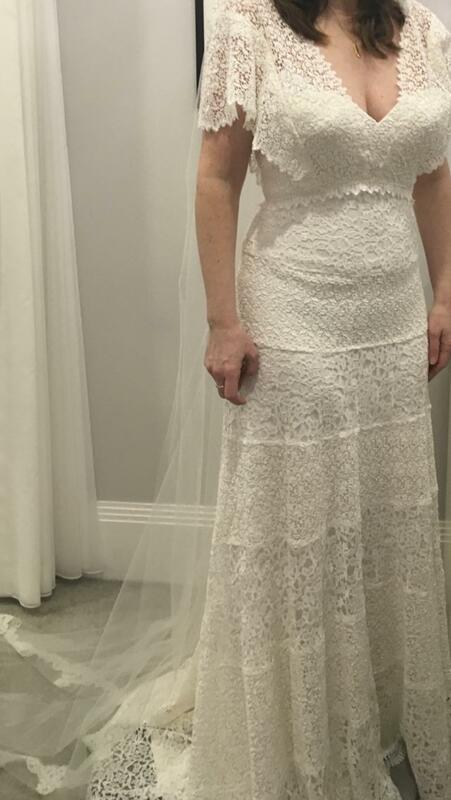 The dress is a street size 10. This dress has not been worn.